Days after winning his first world championship, Richard Commey’s momentum may be halted with a potential torn tendon. 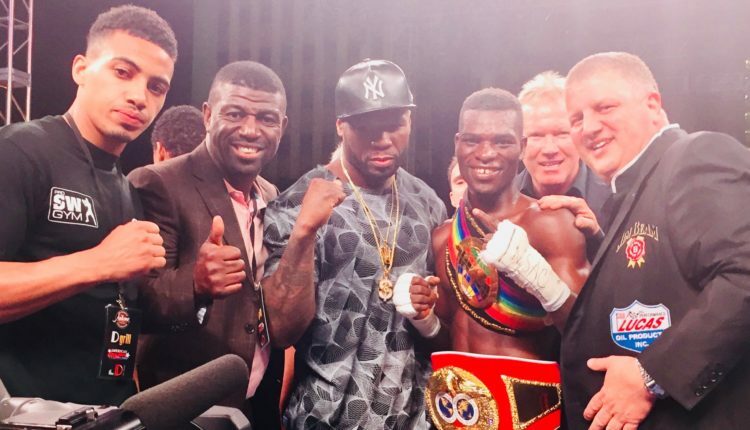 Commey, who gained the IBF lightweight title with a second round knockout of Isa Chaniev, will undergo an MRI this week to examine what was originally thought to be a bruised knuckle. Per a report from Boxing Scene, the Ghana native may be suffering from a floating tendon in his right middle finger, which was found in a doctor’s visit on Tuesday. “Richard will go in for an MRI and by Thursday of this week, we will have the full prognosis,” Lou DiBella, Commey’s promoter told BoxingScene.com on Tuesday. Commey came out of the weekend as the potential next challenger to Vasyl Lomachenko and his WBA title, but the injury and a February 13th purse bid against former world champion Anthony Crolla may have put a damper on that opportunity.